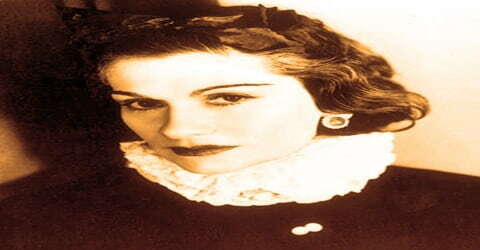 Coco Chanel – French fashion designer and businesswoman. 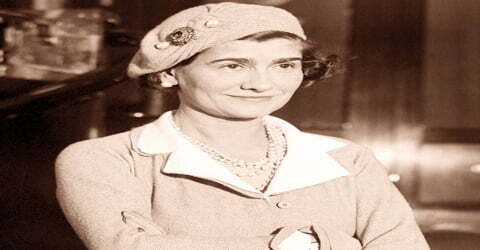 Fashion designer Coco Chanel was born August 19, 1883, in Saumur, Maine-et-Loire, France. She was the first person to see style as both, classic and casual. Chanel created timeless classics and set a high benchmark for the fashion designers to come. She was instrumental in breaking the stereotype and liberating woman from the stifling ‘corseted silhouette’ and making the sporty casual chic look not only acceptable but also trendy and very fashionable. The founder and namesake of the Chanel brand, she was credited in the post-World War I era with liberating women from the constraints of the “corseted silhouette” and popularizing a sporty, casual chic as the feminine standard of style. A prolific fashion creator, Chanel extended her influence beyond couture clothing, realizing her design aesthetic in jewelry, handbags, and fragrance. Her signature scent, Chanel No. 5, has become an iconic product. She is the only fashion designer listed on Time magazine’s list of the 100 most influential people of the 20th century. Chanel herself designed her famed interlocked-CC monogram, meaning Coco Chanel, using it since the 1920s. Her extraordinary fashion sense was not just limited to couture clothing but also reflected in fragrance, handbags, and jewelry. She also was quite a party animal and had a wide network of people with whom she socialized, built connections and did business. Chanel was the ambitious, determined and hard-working lady whose effort clearly reflected in her work. She seemed more of an enigma and lied on many instances, masking her real age and place of birth. Her social connections encouraged a conservative personal outlook. 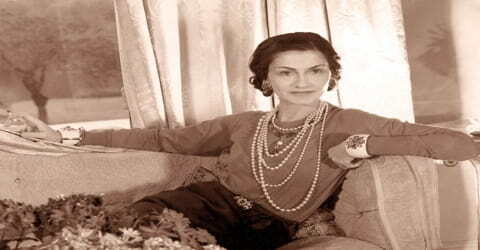 Rumors arose about Chanel’s activities during the German occupation of France during World War II, and she was criticized for being too close to the German occupiers: One of Chanel’s liaisons was with a German diplomat, Baron (Freiherr) Hans Günther von Dincklage. After the war, Chanel was interrogated about her relationship with von Dincklage, but she was not charged as a collaborator. After several post-war years in Switzerland, she returned to Paris and revived her fashion house. Chanel and her work can be best described in her own words ‘Fashion fades, only style remains’. This speaks volumes about what a legendary style and fashion icon she was. 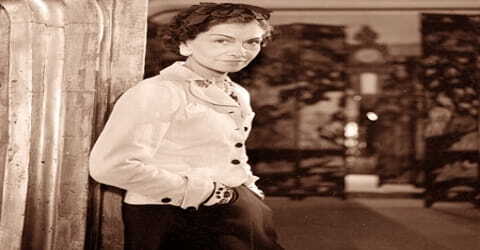 In 2011, Hal Vaughan published a book about Chanel based on newly declassified documents, revealing that she had collaborated with German intelligence activities. One plan in late-1943 was for her to carry an SS peace overture to British Prime Minister Winston Churchill to end the war. She was born in the workhouse in the Loire Valley where her mother worked, although she asserted that she was born in Auvergne. She also claimed that she was born ten years later to what people actually thought. Chanel did not have a great childhood and grew up with poverty surrounding her. At birth, Chanel’s name was entered into the official registry as “Chasnel”. Jeanne was too unwell to attend the registration, and Albert was registered as “traveling”. With both parents absent, the infant’s last name was misspelled, probably due to a clerical error. The couple had five children who survived two boys and three girls who lived crowded into a one-room lodging in the town of Brive-la-Gaillarde. Chanel was raised by nuns who taught her how to sew a skill that would lead to her life’s work. Her nickname came from another occupation entirely. During her brief career as a singer, Chanel performed in clubs in Vichy and Moulins where she was called “Coco.” Some say that the name comes from one of the songs she used to sing, and Chanel herself said that it was a “shortened version of cocotte, the French word for ‘kept woman,’” according to an article in The Atlantic. Chanel claimed that when her mother died, her father sent her off two mean cold-hearted aunts but in reality, she was sent to Aubazine, a home for orphaned and abandoned girls. 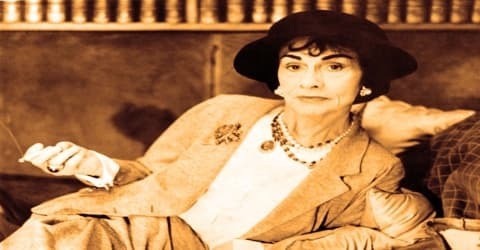 Later in life, Coco Chanel would retell the story of her childhood somewhat differently; she would often include more glamorous accounts, which were generally untrue. She said that when her mother died, her father sailed for America to seek his fortune, and she was sent to live with two aunts. She also claimed to have been born a decade later than 1883 and that her mother had died when she was much younger than 12. Chanel was romantically involved with French ex-cavalry officer Etienne Balsan and became his mistress at the age of 23. She was showered and pampered by his riches in the form of diamonds, pearls, and dresses. 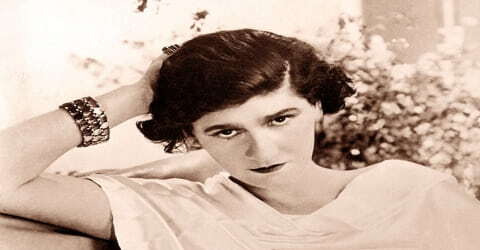 Biographer Justine Picardie, in her 2010 study Coco Chanel: The Legend and the Life, suggests that the fashion designer’s nephew, André Palasse, supposedly the only child of her sister Julia-Berthe who had committed suicide, was Chanel’s child by Balsan. 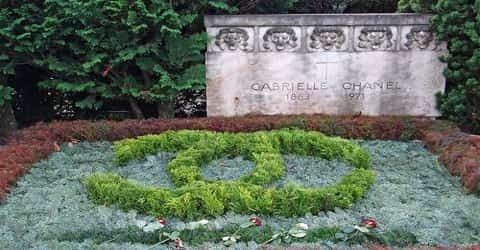 Although Chanel did not have a pleasant stay at Aubazine, it did do a little good to her eventually. She did a lot of sewing in the six years that she stayed in Aubazine which earned her a job as a seamstress. In 1906, Chanel worked in the spa resort town of Vichy. Vichy boasted a profusion of concert halls, theatres, and cafés where she hoped to achieve success as a performer. Chanel’s youth and physical charms impressed those for whom she auditioned, but her singing voice was marginal and she failed to find stage work. Obliged to find employment, she took work at the Grande Grille, whereas a donneuse d’eau she was one whose job was to dispense glasses of the purportedly curative mineral water for which Vichy was renowned. When the Vichy season ended, Chanel returned to Moulins, and her former haunt La Rotonde. She now realized that a serious stage career was not in her future. In her free time, she used to sing in a cabaret frequented by cavalry officers. During this time she made her stage debut singing at a café concert in a Moulin’s pavilion, La Rotonde and she acquired the name ‘Coco’, because of the two songs she sang which she became identified, “Ko Ko Ri Ko”, and “Qui qu’a vu Coco”, or it was an allusion to the French word for kept woman, cocotte. Chanel had begun designing hats while living with Balsan, initially as a diversion that evolved into a commercial enterprise. She became a licensed milliner in 1910 and opened a boutique at 21 rue Cambon, Paris, named Chanel Modes. As this location already housed an established clothing business, Chanel sold only her millinery creations at this address. Chanel’s millinery career bloomed once theatre actress Gabrielle Dorziat wore her hats in Fernand Nozière’s play Bel Ami in 1912. Subsequently, Dorziat modeled Chanel’s hats again in photographs published in Les Modes. Chanel later became associated with a series of wealthy men and in 1913, with financial assistance from one of them, Arthur (“Boy”) Capel, opened a tiny millinery shop in Deauville, France, where she also sold simple sportswear, such as jersey sweaters. Within five years her original use of jersey fabric to create a “poor girl” look had attracted the attention of influential wealthy women seeking relief from the prevalent corseted styles. Faithful to her maxim that “luxury must be comfortable, otherwise it is not luxury,” Chanel’s designs stressed simplicity and comfort and revolutionized the fashion industry. By 1919, Chanel was registered as a couturiere and established her Maison de Couture at 31 rue Cambon. She had the whole building of 31 rue Cambon in one of the most fashionable districts of Paris. In the 1920s, Chanel took her thriving business to new heights. She launched her first perfume, Chanel No. 5, which was the first to feature a designer’s name. Perfume “is the unseen, unforgettable, ultimate accessory of fashion. . . . that heralds your arrival and prolongs your departure,” Chanel once explained. The fragrance was in fact also backed by department store owner Théophile Bader and businessmen Pierre and Paul Wertheimer, with Chanel developing a close friendship with Pierre. A deal was ultimately negotiated where the Wertheimer business would take in 70 percent of Chanel No. 5 profits for producing the perfume at their factories, with Bader receiving 20 percent and Chanel herself only receiving 10 percent. Over the years, with No. 5 being a massive source of revenue, she repeatedly sued to have the terms of the deal renegotiated. 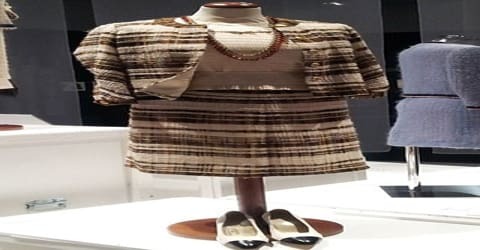 By the late 1920s, the Chanel industries were reportedly worth millions and employed more than 2,000 people, not only in her couture house but also in a perfume laboratory, a textile mill, and a jewelry workshop. 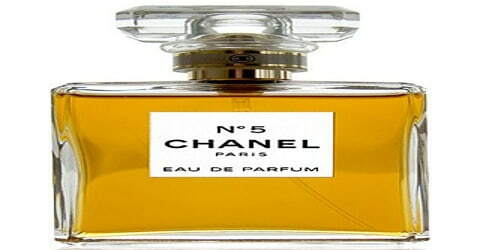 Chanel partnered with businessmen Théophile Bader of the Galeries Lafayette department store and Pierre Wertheimer of the Bourjois cosmetics company, who both agreed to help her produce more of her fragrance and to market it in exchange for a share of the profits. After signing a contract wherein she received only 10 percent of the royalties, Chanel enacted a series of lawsuits in the ensuing decades to regain control of her signature fragrance. Although she was never able to renegotiate the terms of her contract to increase her royalties, Chanel nonetheless made a considerable profit from the perfume. In 1923, Vera Bate Lombardi, (born Sarah Gertrude Arkwright), reputedly the illegitimate daughter of the Marquess of Cambridge, afforded Chanel entry into the highest levels of British aristocracy. It was an elite group of associations revolving around such figures as politician Winston Churchill, aristocrats such as the Duke of Westminster, and royals such as Edward, Prince of Wales. In Monte Carlo in 1923, at age forty, Chanel was introduced by Lombardi to the vastly wealthy Duke of Westminster, Hugh Richard Arthur Grosvenor, known to his intimates as “Bendor”. The duke lavished Chanel with extravagant jewels, costly art, and a home in London’s prestigious Mayfair district. His affair with Chanel lasted ten years. In 1925, Chanel introduced the now legendary Chanel suit with collarless jacket and well-fitted skirt. Her designs were revolutionary for the time borrowing elements of men’s wear and emphasizing comfort over the constraints of then-popular fashions. She helped women say goodbye to the days of corsets and other confining garments. Another 1920s revolutionary design was Chanel’s little black dress. Chanel took a color once associated with mourning and showed just how chic it could be for evening wear. In addition to fashion, Chanel was a popular figure in Parisian literary and artistic worlds. She designed costumes for the Ballets Russes and Jean Cocteau’s play Orphée and counted Cocteau and artist Pablo Picasso among her friends. For a time, Chanel had a relationship with composer Igor Stravinsky. With time Chanel’s business empire flourished and by 1935 she employed four thousand people. But during the late 1930s, her business began to dip. Chanel closed her couture house in 1939 with the outbreak of World War II. Her associations with a German diplomat during the Nazi occupation tainted her reputation, and she did not return to fashion until 1954. That year she introduced her highly copied suit design: a collarless, braid-trimmed cardigan jacket with a graceful skirt. She also introduced bell-bottomed pants and other innovations while always retaining a clean classic look. En route to California from New York, traveling in a white train carriage luxuriously outfitted for her use, Chanel was interviewed by Collier’s magazine in 1932. She said that she had agreed to go to Hollywood to “see what the pictures have to offer me and what I have to offer the pictures.” Chanel designed the clothing worn on screen by Gloria Swanson, in Tonight or Never (1931), and for Ina Claire in The Greeks Had a Word for Them (1932). Both Greta Garbo and Marlene Dietrich became private clients. The New Yorker speculated that Chanel left Hollywood because “they told her dresses weren’t sensational enough. Chanel made a lady look like a lady. Hollywood wants a lady to look like two ladies.” Chanel went on to design the costumes for several French films, including Jean Renoir’s 1939 film La Règle du jeu, in which she was credited as La Maison Chanel. Chanel introduced the left-wing Renoir to Luchino Visconti, aware that the shy Italian hoped to work in film. Renoir was favorably impressed by Visconti and brought him in to work on his next film project. 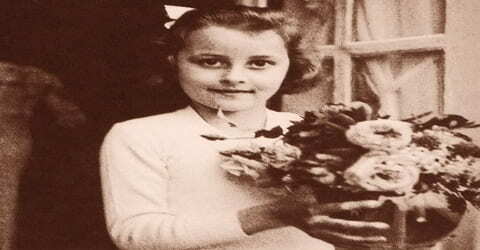 During World War II, she was accused of being a Nazi spy. In 1945, after the end of the War, Chanel moved to Switzerland, eventually returning to Paris in 1954. She reopened her couture house in Paris, in 1954. But her new collection wasn’t well received by Parisians as the taint of being a Nazi spy continued to haunt her. However, her designs were well received by the British and the Americans. The legendary concept of the little black dress is often cited as Chanel’s contribution to the fashion lexicon. This became Chanel’s fashion trademark. The iconic Chanel bag, also known as ‘2.55’, name after the date of the bag’s creation (February 1955) made bag more of a style statement and a luxurious product apart from it being a necessity for women. Coco Chanel is the only fashion designer who features on Time magazine’s list of the 100 most influential people of the 20th century. After her death in 1971, Chanel’s couture house was led by a series of different designers. This situation stabilized in 1983 when Karl Lagerfeld became a chief designer. Chanel’s shrewd understanding of women’s fashion needs, her enterprising ambition, and the romantic aspects of her life her rise from rags to riches and her sensational love affairs continued to inspire numerous biographical books, films, and plays, including the 1970 Broadway musical Coco starring Katharine Hepburn.